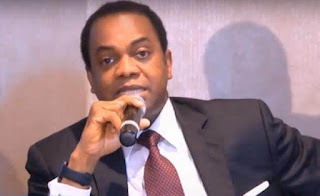 The presidential candidate of the Social Democratic Party, SDP, Donald Duke has reacted to the endorsement of President Muhammadu Buhari by the leadership of the party. SDP had yesterday endorsement of Buhari’s candidacy, ahead of the forthcoming February 16 presidential election. Reacting, the former Governor of Cross River State insisted that he is the party’s presidential candidate. In a statement he signed yesterday, Duke claimed that he was being fought by a presidential aspirant in the party who believes he is from the ”wrong part of Nigeria”. According to Duke: “This afternoon, the National Executive Committee (NEC) of the Social Democrats Party, SDP, came up with a decision to endorse the APC and its candidate, President Muhammadu Buhari for the February 16th Presidential election. “This decision has arisen according to the party, as a result of protracted legal squabbles within the party which has made the party unable to commence a decent campaign. “Regardless and for the avoidance of doubts, I Donald Duke, remain on the ballot and the candidate of the SDP as recognized by the Independent National Electoral Commission, INEC. “The Federal Court of Appeal has put this matter to rest. The Office of President and any other constitutional office for that matter, does not belong to any party and therefore not for a party to zone. “What is more worrisome for our nascent party is its ability to rein in its members, particularly sore losers. Internal management of the party affairs has been the bane of our democracy. “For the SDP NEC to thereby endorse the APC or any other party, is rather unfortunate and betrays in my opinion, the desire of the vast majority of our party members and Nigerians credible alternatives to our nation’s leadership. I need to say more, suffice that I remain on the ballot and thereby still present myself as a candidate for the office of president of The Federal Republic of Nigeria.